Slumming obviously derives from the word slum, which refers to a form of beaten down housing usually occupied by those of modest means. Prince Hal was slumming when he hung out with Falstaff and when spurned his old pal in a particularly touching scene of the at the end of Henry IV, Part II, Henry is signaling the end of his slumming days. Slumming usually involves pretending to be something you’re not, which is exactly the crime Hal is guilty of when he fails to behave like the leader he will one day be. Yes, wine, women and song, but when you put on the disguise of the blackguard in order to make yourself cozy in the company of friends, you’re doing both yourself and your friends a disservice. Slumming has a long a storied history and may connote being transported to more off the beaten track places the traveler might not ordinarily have had the opportunity to see. 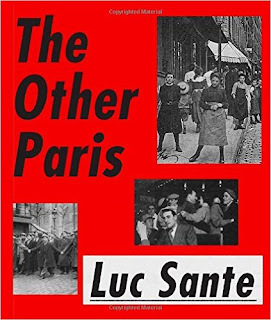 The titles of Luc Sante’s Low Life: Lures and Snares of Old New York (1991) give the impression of a kind nostalgie de la boue as does The Other Paris (2015). Toulouse Lautrec was slumming when he painted the whores of Montmartre and slumming is the only way of describing the attraction of white suburban teenagers for Gangsta Rap—where the music provides the vicarious pleasures of a kind of male bravado that is absent from the molly coddled existence affluent teenagers live. Ray Ashley’s masterpiece Little Fugitive (1953) about a slum kid on his own in the Coney Island is the ultimate form of cinematic slumming to the extent, that it allows the viewer to see reality through the eyes of a disadvantaged kid. You as the viewer, through the act of empathy and identification, become the eminence grise, who bankrolls a runaway’s world. The Bowery Boys, The East Side Kids, The Little Rascals and later Larry Clark’s Kids (1995) all provided a vehicle for audiences who yearned to see what life was like on the other side of the tracks.